Home → Is your dealership millennial-savvy? How many millennials does it take to change a car tyre? You might need to go through more than you think. 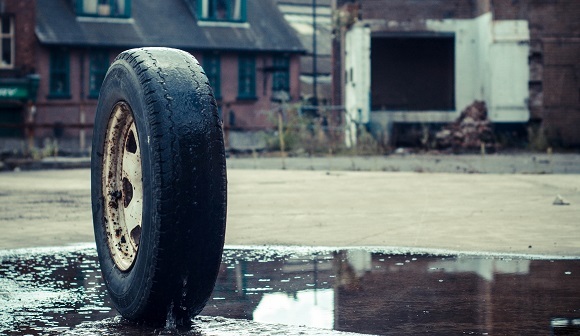 Earlier this year, a poll of 2000 drivers made a surprising discovery; nearly three quarters of millennials admitted that they had no idea how to change a car tyre. By contrast, nearly half of drivers aged 36 and above said they could confidently do so. Likewise, only half of under-35s said that they knew how to check and top up the oil level on their car, and, perhaps most surprisingly, more than a third of millennials said that they would ‘struggle to confidently open a car bonnet’. Millennials, generally defined as the generation born between the early 1980s and the mid-1990s or early 2000s, can come in for a lot of flak. Dismissed as being obsessed with avocados, overly sensitive or even – shock horror – ‘snowflakes’, it might be easy to read these statistics as evidence of a younger generation failing to take responsibility for their belongings. However, dealerships would do well to sit up and take notice of such statistics – as an opportunity to better understand the needs of different groups of customers. What this survey shows us is that different demographics have different needs from their car dealerships – and, as millennials make up an ever-growing proportion of drivers overall, smart dealerships should be considering how they can tailor their approach and services to suit these changing needs. Offering value to customers, in any sector, is all about understanding their precise problems and how you can solve them. If millennial drivers tend to understand the workings of their vehicles less than older drivers, there would appear to be several opportunities for dealerships here. First, they can tailor their existing aftercare services by ensuring that transparency and clear communications are absolutely front and centre. autoVHC’s electronic Vehicle Health Check solution can be invaluable here, by providing a clear, logical and standardised walkthrough for each individual job, which can be clearly communicated to the customer. Second, dealerships can help drivers to learn more about their vehicle, through the longer-term analytics that software like ours provides. Our data analytics enable a view of a vehicle’s health and performance over time, and can help provide a platform for discussions around how to maximise the performance of a vehicle and avoid common problems. Third, there might even be opportunities for dealerships to develop brand-new service offerings, teaching drivers how to carry out basic vehicle maintenance. In-depth customer understanding is the foundation for more personalised and targeted services, which in turn can lead to greater profitability and a better reputation in the marketplace. Rather than dismissing millennial drivers as incapable or lazy, dealerships should immerse themselves in statistics like this and use them as a basis for innovation and development – particularly important as the number of new car registrations continues to fall. Data analytics can also enable dealerships to track the profitability and effectiveness of different aftersales jobs and appointments, leading to smarter insights and intelligent problem-solving. The first millennial you ask might be unable to change a car tyre – but dealerships have a potentially profitable opportunity to change that.